The Edyth T. James Department of Nursing is committed to providing quality baccalaureate Christian nursing education. The Edyth. T James Department of Nursing curriculum has been designed for individuals to develop professional competence in the scholarly practice of nursing. 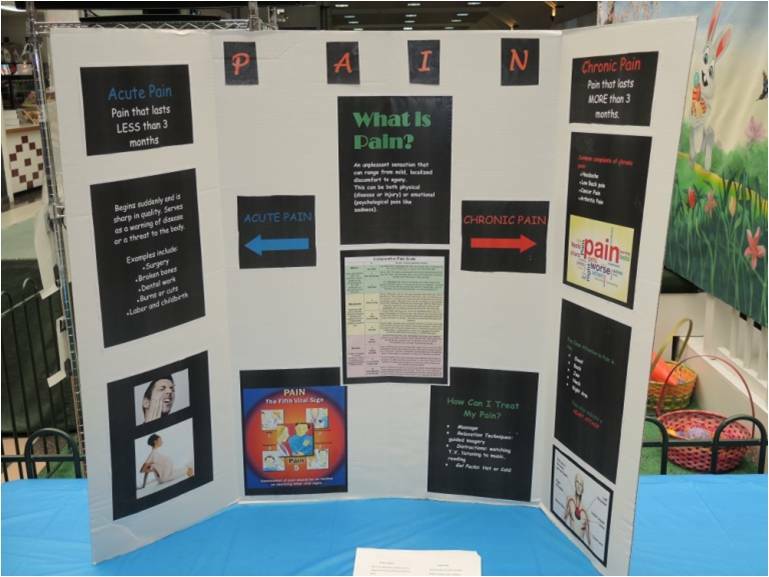 The program of study offers interrelated theoretical and clinical learning experiences. Multiple agencies are utilized for clinical experience including: Washington Adventist Hospital, Shady Grove Adventist Hospital, Holy Cross Hospital, National Naval Medical Center, The MedStar Washington Hospital Center, Dimensions Health System, County Departments of Health, Adventist Home Health, and other various skilled nursing facilities. The Bachelor of Science degree in nursing expands the nurse’s view of society’s health needs. 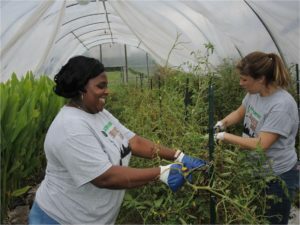 Employment opportunities extend beyond hospitals and nursing homes to community health agencies, health maintenance organizations, private industry, educational institutions, mission and foreign services. The program’s broad integrated perspective develops interpersonal theoretical and clinical competence and prepares the student for graduate study in nursing. Nurses with graduate degrees in nursing find increased employment opportunities in research, practice, and education. The Edyth T. James Department of Nursing offers a 4 year program. Graduates earn a Bachelor of Science in Nursing. Please see the Bachelor of Science in Nursing Progression Plan. The School of Graduate and Professional Studies offers an RN to MSN , Nursing and Business Leadership (MS) and Nurse Education (MS). The Nursing Application Packet contains all of the information needed to apply to the nursing program. The packet includes information and forms such as the program overview, procedure for admissions, deadlines for application to nursing program and more. Please review the nursing admissions packet content carefully. Priority for admission to the nursing program will be given to those students who began their studies as freshmen at Washington Adventist University. Once you are accepted into the Nursing Program, please visit the Flynn O’hara website to view and order the required clinical uniforms. Descriptions of the core nursing courses can be found in the Academic Bulletin, or the link below. Students enrolled in the nursing physical assessment course had the privledge of listening to and learning from a guest speaker from Childrens National Medical Center on November 11, 2015, Dr. Marc Difazio. Dr. Difazio is the Medical Director of the Montgomery County Outpatient Center at Children’s National.He served as Chief of Child Neurology at Walter Reed Army Medical Cen2005 before transitioning to private practice in Rockville, Md. He is well-known to the community for his service, leadership, and expertise in clinical child neurology, with particular emphasister until in the areas of Tourette syndrome, headache/migraine, concussion, and the use of botulinum toxin (Botox) for a variety of conditions including headache, spasticity, and sialorrhea. Nursing Chapel November 4, 2015: The department of nursing faculty, students and staff led the convocation service at Sligo Church for the WAU community. Nicholas Difazio and Darryl Scott (both sophomore nursing students) delivered a wonderful devotion. The department of nursing chair, Dr. Nancie Crespi compossed a song called ” Lord. I Trust You” specifically for the occasion. Dr. Crespi and the nursing student body sang the song at the close of the program. It was an uplifting service the nursing students enjoyed putting together. In October 2015 Dr Bonnie Franckowiak, Coordinator of the MS in Nursing Program, and Dr Nancie Crespi, Director of the Nursing Program, went with other Maryland Deans and Directors to Capitol Hill to meet with Maryland representatives, Senator Cardin, Congressman Ruppersberger, and Congressman Cummings. 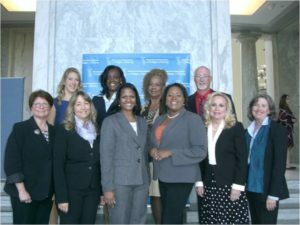 They discussed with the representatives their concerns on issues related to nursing education and nursing workforce shortages. Nursing Department Student Learning Outcomes: Our Nursing students demonstrating a few of the nursing department learning objectives. 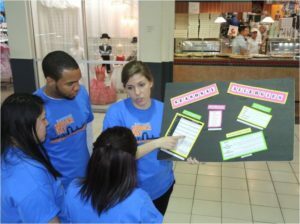 Nursing Department Student Learning Outcomes: Nursing students linking scholarship with service. 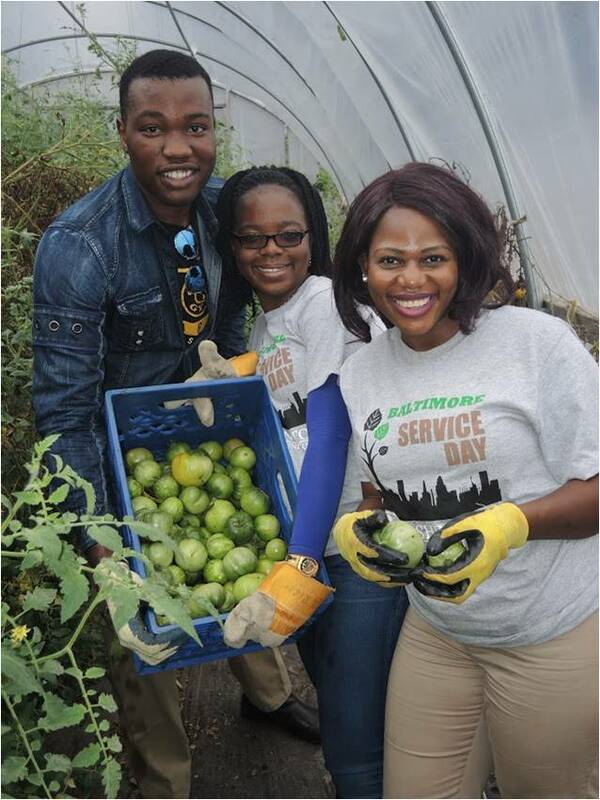 Our Nursing students participated in the University’s Spring Service Learning Day in Baltimore. 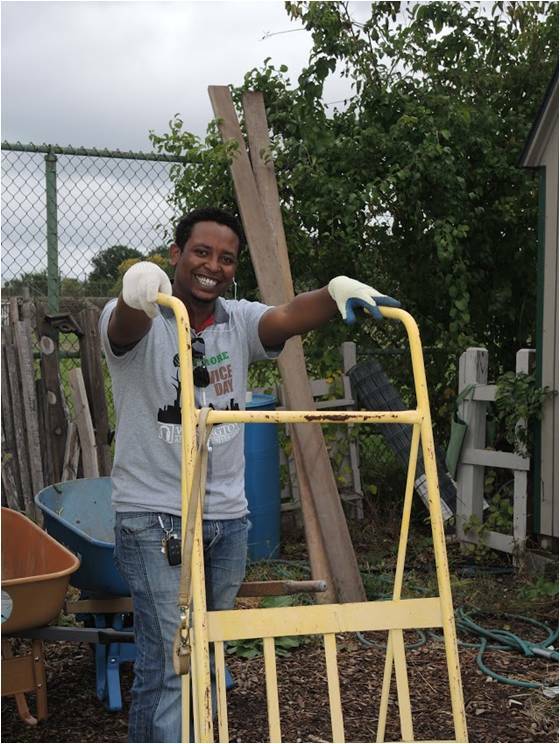 On that day students performed grounds clean up, gardening, and landscaping. Participation in community projects is part of this university’s mission to be a ‘Gateway to Service’ and it helps our students develop a lifelong commitment to providing service to others. 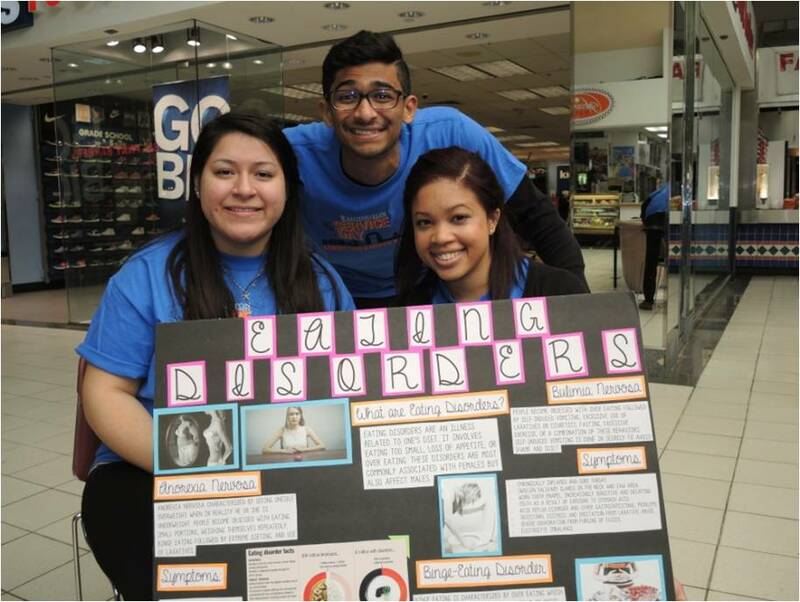 Our Nursing students participated in the University’s Fall Service Learning Day. 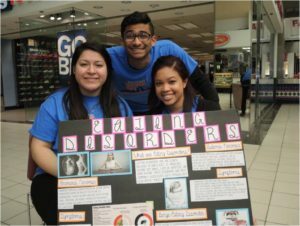 The students went to Prince George’s Plaza and educated the community on eating disorders, nutrition, seasonal allergies, STI’s, and pain. 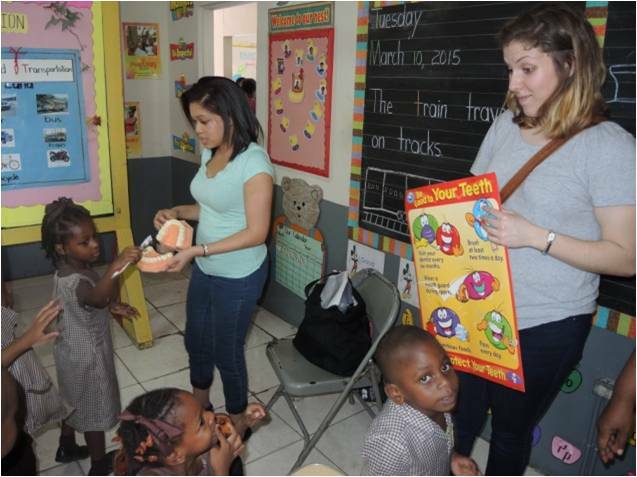 During Spring Break some of our Nursing students traveled on a mission trip to Jamaica. They served the largest Seventh-day Adventist Primary & Secondary Educational System which is Willodene Group of Schools (WGS) in St Catherine, Jamaica. 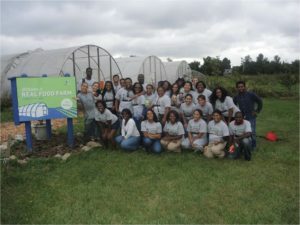 This school educates approximately 600 students. It has 3 divisions: Early Development Childhood, Primary school and High School. 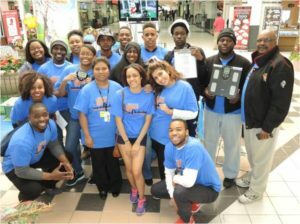 The students provided services to WGS while highlighting three areas: spiritual enhancement, health promotion, and emotional needs. Firstly, spiritual enhancement was done through powerful life changing week of prayer which concluded with a baptism. In addition, the mission team also ministered at local churches. 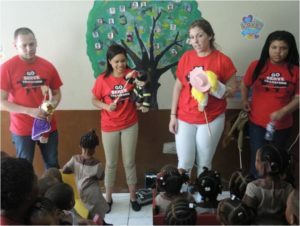 Secondly, health Promotion activities consisted of oral hygiene, proper handwashing techniques, and choosing a healthy diet. Lastly, emotional needs were depicted through activities such as developing your family tree, engaging discussions about Christian-centered dating and Marriage Principles, and understanding your profession, purpose, and passion. WAU and WGS look forward to more partnering experience while transforming lives. 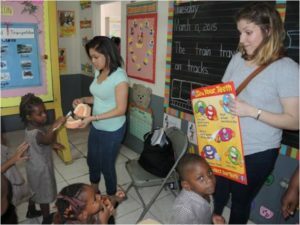 Mission Trip to Haiti, Spring 2013: WAU Students had the opportunity to travel abroad with the Department of Ministry to participate in a mission trip over spring break. Here are a few of our nursing students that attended the trip. 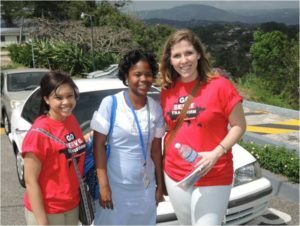 In Spring of 2013, Washington Adventist University Department of Ministry journeyed to Haiti on a mission trip abroad. 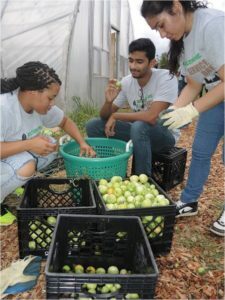 A few students from the Edyth T. James Department of Nursing, as well as Nursing Professor Khadene Taffe, were amongst the volunteers who went to serve. “For me, Haiti was a life changing experience. 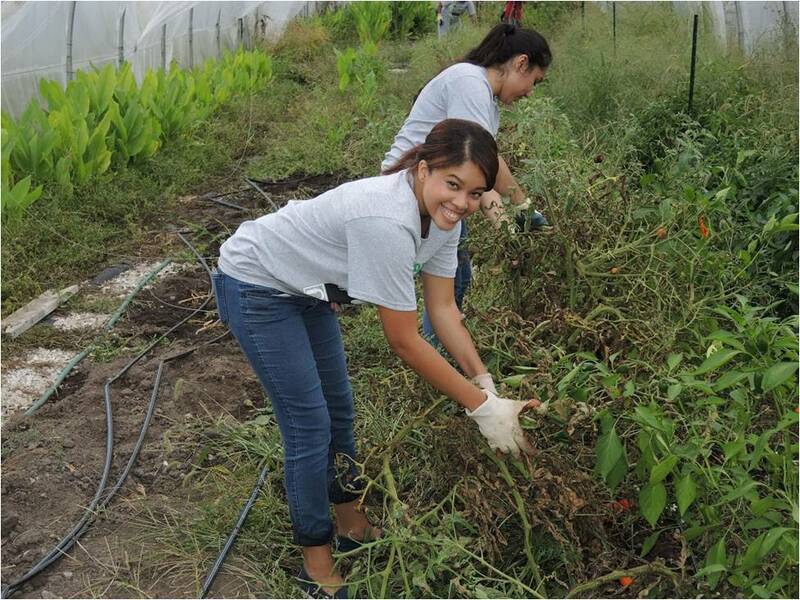 My time there really opened my eyes to all of the work that still needs to be done as a Christian and a nurse. I now realize how truly blessed I am and that I am called to the ministry of healing,” said nursing student Khadene Campbell. Nursing graduate student Raina E. Groover also expressed her life changing experience. 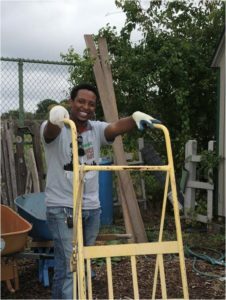 “I chose to go on the Haiti Mission Trip 2013 because I felt a strong calling from God to sacrifice myself to serve others. 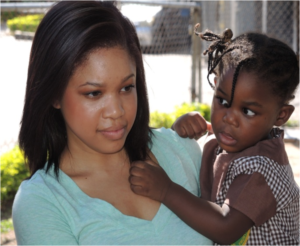 There is a great need in Haiti at this time and I wanted to serve and help out in any way possible. I believe that we are made in the image of God when we sacrifice our time, love, and service to others, just as God made the ultimate sacrifice of His only Son Jesus Christ to save the world. There is no greater love than that. I am committed to fulfilling God’s calling in my life.